Over the last year Palm Arts has worked tirelessly towards our mission of supporting and honoring the performing arts and student artist education opportunities here in Telluride. It’s a mission that we take very seriously and comes from our unwavering commitment in the belief that the arts and arts education are of ever increasing importance in today’s world. We’re honored and humbled to have the Black Box Theatre here at the Palm Theatre Complex receive a new name as the Bob Saunders Theatre. 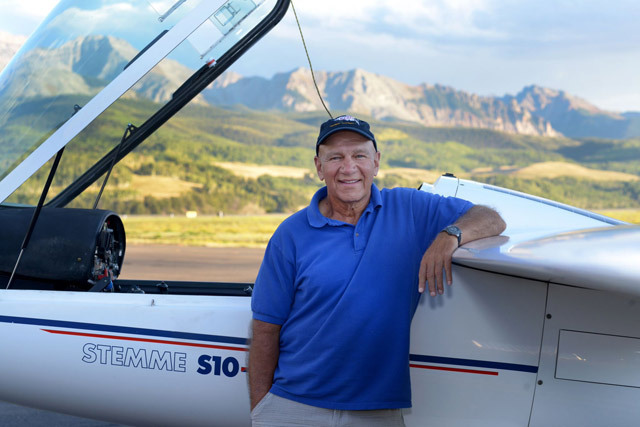 Bob (Glider Bob) was a tireless advocate for the Telluride lifestyle and worked hard to keep Telluride grounded and open to all. Palm Arts Inc. is asking the community to honor the legacy of Bob Saunders by outfitting the Bob Saunders Theatre with updated lights, sound, and projection equipment that will help the theatre become a state of the art performance venue worthy of its name. As we look ahead to a bright future we are grateful for your willingness to help us fulfill our mission. Thanks to your generosity and commitment, the arts will continue to thrive in the Telluride valley for years to come. Donations can be made securely at www.telluridepalm.com.